1. Students were talked through an imagined scenario where the date is results day. Looking at their results, they realise that they have done spectacularly badly in this subject. They feel terrible about this. Students are encouraged to draw on their imaginative resources to really feel an overwhelming sense of disappointment. 2. Students list as many reasons as possible to explain how this outcome occurred, focussing on all of the possible causes that are under their own individual control. 3. The ‘risk factors’ identified are shared with the group (though some may be too personal for sharing). 4. Students are instructed to write a letter to their present self, from their future self (the imagined future self that underperformed), providing advice as to what they must do to ensure that they achieve the best possible outcome on results day in this subject. 5. 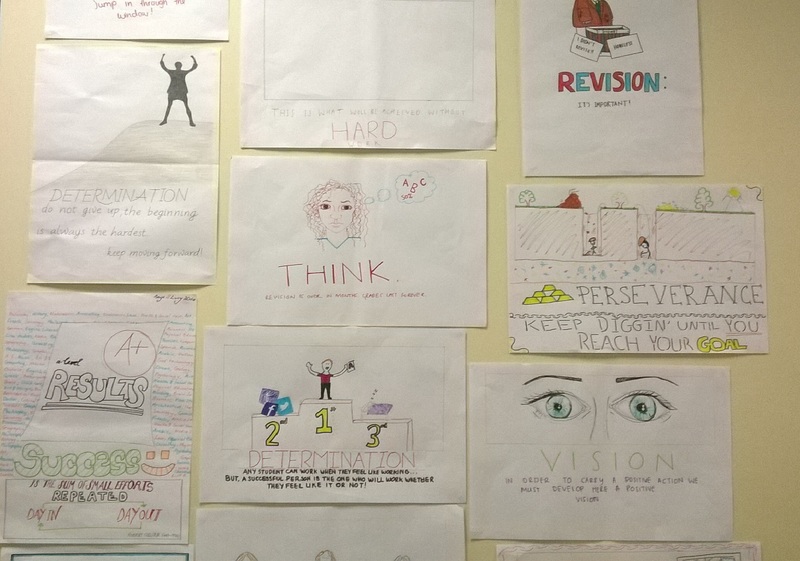 Individually, students identify an attribute that may be particularly pertinent to their future success and construct a ‘motivation poster’ around this attribute. This should be placed somewhere they will see it every day. 6. When in need of extra motivation, students read back the letter of advice from their future self. I was pleasantly surprised by the seriousness with which the students completed these activities, the effect being a seemingly genuine reinforcement of the required approach to study to achieve maximum results. This could be a very useful tutor activity I would guess, broadening it beyond the specific subject.